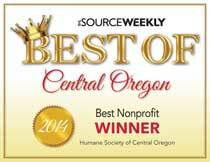 Community support provides a necessary component of funding for the Humane Society of Central Oregon. Contributions of all amounts help us care for the animals that need help the most and provide education about the respect and humane treatment of animals. Donate here. If HSCO signs up 25 new RoundUp App donors by August 21st we will receive $1,000! HSCO has partnered with a new mobile app and website that allows you to automatically donate the change from your card purchases to support our work. No matter where you shop this app will automatically round up your purchase to the nearest dollar amount. It’s small change for you but a game changer for the critters! 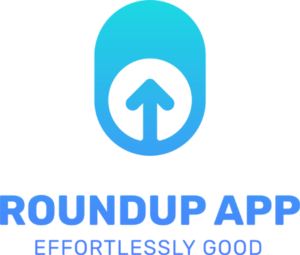 Check out the RoundUp App and download it for iPhone, Android or use the Web Version. A convenient way to regularly give to HSCO is by becoming a monthly donor. This method is completely safe and reduces processing time for HSCO staff. And, it costs you nothing and saves you a stamp each month. Enroll here in our monthly giving program and tie your donation to either your checking account or credit card, or contact Becky at (541) 382 3537. Click here for information about Planned Giving and Bequests. If you would like to make your gift in honor of or in memory of a person or pet, please make note of this in the ‘Message’ field. An acknowledgement card will be sent if you provide the name and address of the recipient. The shelter always needs additional items for the animals. Please see our wish list here. Donate Your Car, Boat, RV, or Truck! You can donate your old car, boat, RV or truck – running or not – to Humane Society of Central Oregon. Read the details here! There are additional ways to directly help the animals in our care: Donate a Kuranda Bed.